ONE DOLLAR WRITTEN RESERVE - SET TO SELL AT AUCTION! With written instructions from our vendor setting the reserve for this auction at just ONE DOLLAR, this campaign is sure to excite! As per the wishes of the late Mrs Elizabeth Rooke, who used to own the property, the proceeds of the sale of 106 Carrs Island Road will be donated to the Vision Australia, a very generous and thoughtful endowment by Mrs Rooke. The property totals 20.9 acres (approx) and, while there’s no denying there’s a fair bit of work required here, there’s plenty of positives about this place which are sure to get your mind ticking over. The home is a basic three bedroom, one bathroom house sits overlooking Carrs Creek. The home & acreage certainly need some TLC but this property is being sold by means of Public Auction, so you can do the maths on these repairs and name your price on the 22nd March. The country here is very fertile, with Kikuyu in abundance. This little block would be ideal for someone wanting to fatten cattle or grow crops. Some of the property has previously been cultivated and town water is reticulated to stock troughs in the paddocks. 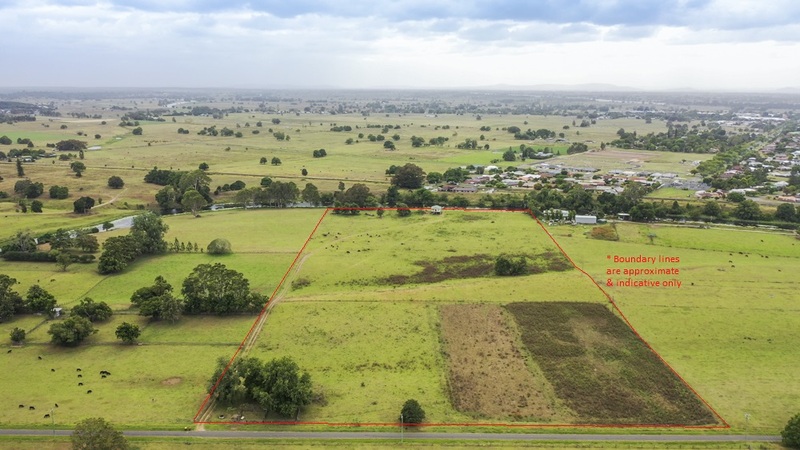 106 Carrs Island Road is located less than 4KM from the CBD of Grafton and the property is identified as Lot 223 in DP 751371. Clarence Valley Council rates are approx $1,250 per annum. An information memorandum is available; please email jojo@farrellmccrohon.com.au to request a copy. Please email or phone the Farrell McCrohon office on (02) 6642 5200 to enquire about scheduled viewing times. AUCTION: Friday 22nd March, 12 noon on-site @ 106 Carrs Island Road, Carrs Island.